Complete set of Manuals for the Allis Chalmers G. Includes Parts, Operator's and Service manuals. Operators Manual, Reproduction.�50 Page paperback. 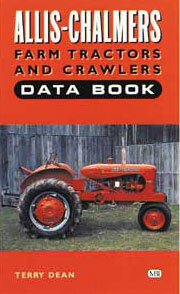 Reproduction of original manual as included when tractor was purchased. Allis Chalmers G Reproduction Service Manual. 41 Page paperback. Includes complete procedures for maintenance and repair of G.